The fourth child of Samuel Ilkovics and Kati Spiro, Mari Ilkovics was my great-grandfather’s younger sister. She was born in 1883 in Sebeskellemes 8 years after my great-grandfather Herman was born. In between them were two daughters that both passed away in infancy. One daughter, Regi, died just two days before Mari was born. Mari appeared in additional records as Maria. Sadly, the family has no photographs of Mari. In 1903, at the age of 20, Mari boarded the vessel Blücher, traveling from Hamburg to New York City. Her fare was paid for by her brother Herman, whom she claimed she would be staying with. She arrived with $4.00. I couldn’t find her in the US records after that and it wasn’t until I found her marriage record back in Hungary that I realized she had gone home. I could just imagine her leaving the clean air and beautiful countryside of Presov and winding up in the Lower East Side of Manhattan; a time of mud streets, overcrowded tenement apartments, and she with no job skills. I don’t know how long she stayed in New York but at some point, she made her way back to Hungary and married Eliezer or Lazar Goldmann. She and Lazar were born only a few months apart from each other in the same town of Sebeskellemes. Lazar had a small grocery business including a petrol pump in Presov. At that time, Presov was a small but highly cultured town full of concert halls, theaters and coffee houses. Everyone knew each other and was friendly. Life was good for them. Lazar and Mari went on to have three children. 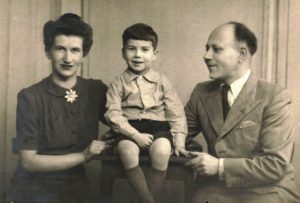 A daughter Malvin was born in 1911, followed by another daughter Ilona in 1912 and finally a son Zoltan born in 1916. The entire family, including the children, worked in the store doing whatever was needed to help. 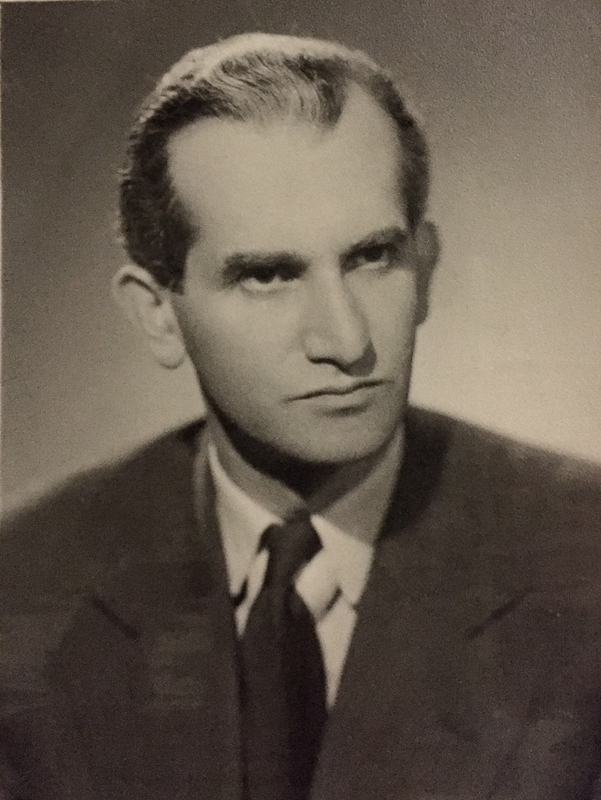 Zoltan had been working as a teacher in a nearby town when he heard that the Nazis began deporting Jews from Presov. He immediately made his way back home to try to get them off the list, but arrived too late. The deportation of his parents was quick and he didn’t manage to get to them in time. He began working as a partisan within the resistance movement, saving many lives by organizing false documents, escorting families over the mountains, and hiding them in the country side. Both Mari and Lazar were transported to Auschwitz where they were immediately gassed. Zoltan spent his whole life wondering whether he could have saved them. Helen and Ernest Martin with their young son. After the war, Zoltan remained in what was now Czechoslovakia where he married his wife Jurina Ciner, had one daughter and eventually joined his two sisters, emigrating to London in 1968. Zoltan managed to get his sister Malvin (who eventually went by the name of Mary) out of Hungary on the last train the day the war came to Presov. After joining her sister in London, she married Horace Rook and they had two children.